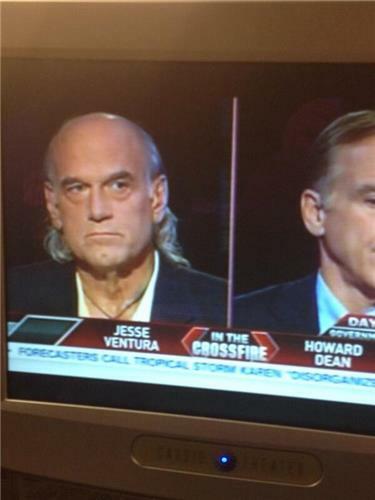 Jesse Ventura vs. Howard Dean on CNN Crossfire. Go Jesse! I would like to know why don't the government mandate that uninsured people pay the same contracted rates that the insurance companies pay and for the same services. A medical visit can cost up to 80% less for the insurance companies then for an uninsured person. This is not right. Why no mention of exemptions for big business, but none for us for a year? Some of us little people have been booted off from of our jobs and can't afford obamacare! Question for the panel - Is health care in this country a privilege or a Constutional Right? This is a fundamental question. @CrossfireCNN Jesse Ventura and Howard Dean:The best Crossfire yet! More of this sanity, please! Jesse, the president made exemptions that are not legal. What's the beef with cutting us little people the same break? @CrossfireCNN is officially my new favorite show!